Our Education and Labour Markets team is led by Dr Gavan Conlon, who is a Partner at London Economics. Gavan is an expert in the economics of education. Over the last 15 years, he has directed, managed or delivered more than 130 education related projects. 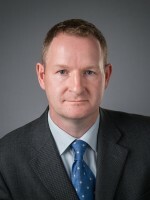 Gavan has provided expert advice and analysis to a number of clients including the Department for Business, Innovation and Skills and Department of Education, as well as the European Parliament and OECD, and has also provided expert evidence to the UK Parliament’s BIS Committee Inquiry into Higher Education Fees and Funding. Gavan Conlon has a strong academic background and has worked in the London School of Economics as a Research Officer (post-doctoral researcher) in the Centre for Economic Performance. He also has experience of working inside central government having spent a year on secondment to the Department of Education. Gavan has a doctorate in economics from the University of Oxford that considered the earnings and employment outcomes associated with academic and vocational qualification attainment. He also has several published papers in peer reviewed journals.